The Golden State Warriors have set a record for the longest unbeaten start to an NBA season with a convincing victory over the LA Lakers. 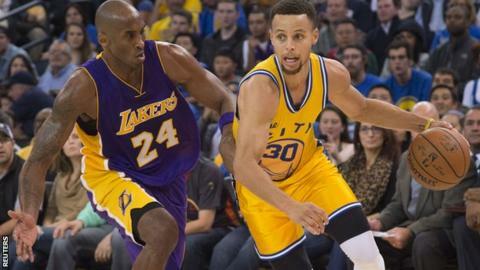 The Warriors' 111-77 victory on Tuesday extended their perfect start to 16 consecutive wins. It means the Warriors have broken the record they previously shared with the 1993-94 Houston Rockets and 1948-49 Washington Capitals. Reigning Most Valuable Player Stephen Curry starred in scoring 24 points.